So you think you’re a good programmer? Try facing Programming Challenges, “the programming contest training manual”, if you'd like to test this belief. Transact-SQL is Microsoft’s variant of the SQL laguage, implemented in Microsoft SQL Server. 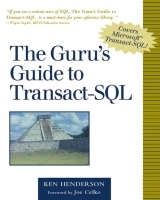 While Microsoft’s documentation might get you up and running with the product, you need a copy of The Guru’s Guide to Transact-SQL to become a real expert. 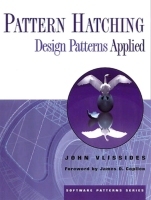 Not one of the many new pattern catalogs, John Vlissides’s Pattern Hatching show how patterns are applied in real life -- and also includes some interesting guidelines for would-be pattern writers. Geoffrey James’s The Tao of Programming is not a computer science book per se; however, only real programmers will understand its beautiful, subtle humor. The two less-known sequels, The Zen of Programming and Computer Parables are also reviewed. Have you had enough arrows and bubbles in your documentation? If you’re trying to put some order into class diagrams, the modeling language UML, out to replace OMT and many other notations, is the current tool of choice. 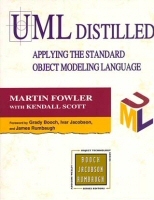 Together with Kendall Scott, Martin Fowler had written a great introduction to the language: UML Distilled: Applying the Standard Object Modeling Language.